We've partially cracked the previously undeciphered 20 sides of Codex Climaci Rescriptus. They contain astronomical texts by Aratus and Eratosthenes. In the case of the latter this is the earliest known manuscript. See further DeMoss press release. 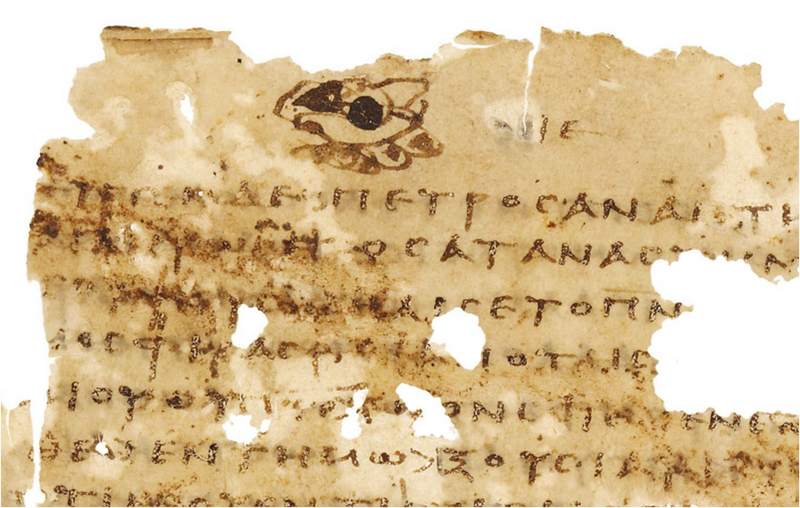 Stories of manuscript discoveries are always exciting, and this account of one of the most valuable treasure troves of biblical and other manuscripts is no exception. 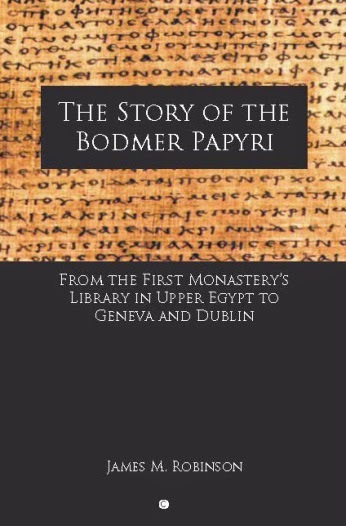 In my opinion, Robinson convincingly establishes the connection between manuscripts in the Bodmer and Chester Beatty libraries as well as a number of other collections, primarily Mississippi, Cologne, and Barcelona. Although Robinson’s investigations in Egypt are likely to be influenced by rumors and exaggeration and the exact extent of the “Dishnā Papers” is impossible to establish, his main proposal of a common discovery is thoroughly backed up with documentation and hard evidence from the manuscripts themselves. On the other hand, the book is poorly edited and betrays many traces of several layers of revision and scattered updates, not only by Robinson, who “composed the book two decades ago” from several earlier publications and new material, but, more recently, also by K. C. Hanson, who edited and published the book (vii). The resulting unevenness is all the more annoying in a book that presents the reader with many names, dates, and details about the manuscripts, which are repeated back and forth, sometimes with variation, which creates confusion. Our God prepared a sacred table in the desert for the people and gave manna of the new covenant to eat, the Lord’s immortal body and the blood of Christ poured for us in remission of sins. Some Christians still use passages from the Bible as protective charms, so the amulet marks the beginning of a trend in Christianity [my italics]. An image of the amulet is available here. When a substantial chunk of the Bible is cited in some ancient work and within the manuscript tradition of this work new variants happen, do they count for anything? Well, at the very least they give us another fresh set of stuff to study. The last word on line 2 is εποιησε, line 3 continues with τε εξ αιωνος παν εθνος αν̅ων (He made from eternity the whole human race). ενος (of one) and αιωνος (of eternity) differ phonetically only in the added syllable /o/ in the latter. Phonetics made the error easier, context did as well: the whole of the context is devoted to arguing that heaven is 'eternal'. 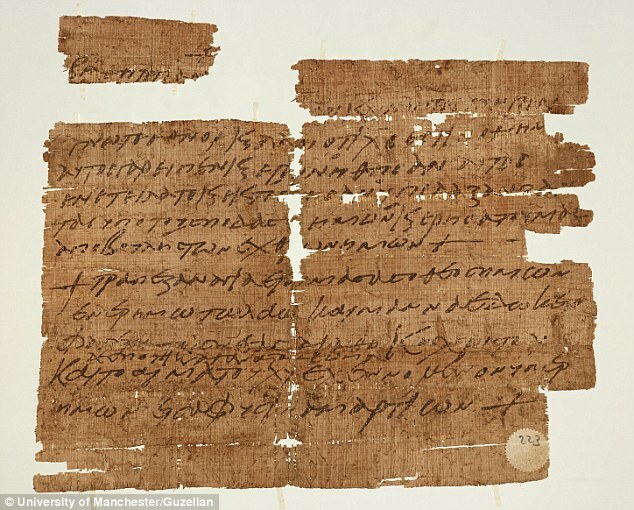 Whilst preparing the slides for my paper at the BNTC conference for this coming Friday, I was delighted to find the oldest manuscript of Acts GA 0189 online. Normally I have some inkling of what is happening on a manuscript page, but what is happening in the upper margin on the recto (left of the page number) stumps me. My best guess so far is that it is a dog with sunglasses. Is there anyone with a more reasonable suggestion?